Are you wondering how to set goals? Maybe you set goals but don’t always achieve everything you want? There are so many tools you can use alongside goal setting to work on achieving more of your goals. To start with take some time to reflect on anything you want to achieve in all areas of your life. If you could do anything what would it be? Think about personal, health, lifestyle, career, finance and all other areas. Write down as many as you can think of. Keep this list and add to it whenever you think of any more. You can keep coming back to it and using them to set short term goals every month to work towards them. I recommend focusing on 2 goals every month to work towards intentionally. There are many ways to set goals and I believe it’s good for you to experiment with a few different ways and see what works for you. Personally I use SMART goals to set mine, as this makes them as detailed as possible and that’s how I like it. This is a really in depth way to set your goals. Measurable – you have to be able to measure them, so how will you know if you have achieved them? Using the same example as above you could have a goal tracker and tick off every exercise. 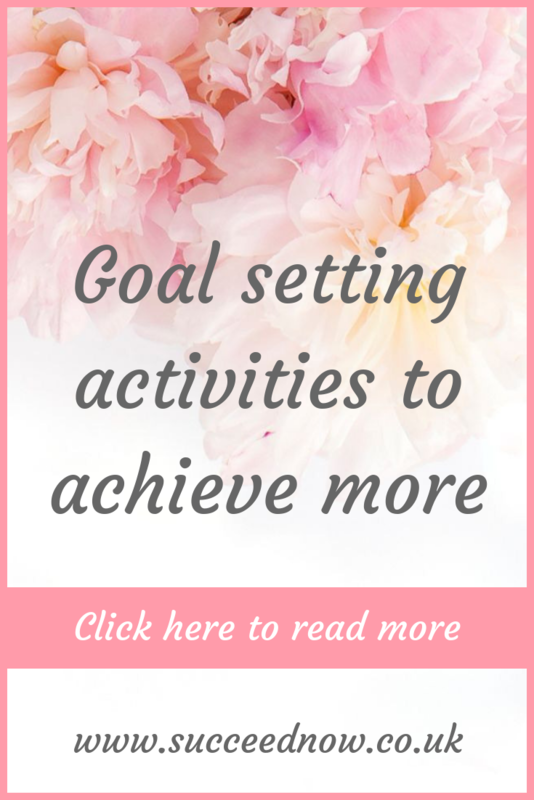 Achievable – set a goal that is achievable for you. It needs to challenge you but be physically possible. Relevant – something that you actually want. There is no point setting an exercise goal if you have no intention on getting fitter. It has to be something relevant to you for you to connect with it and want to achieve it. Timed – set a deadline for your goal so you have something to work towards. This will help keep you motivated as well. When setting goals make sure you have them written down. It is a dream while it is in your head, it is a goal once it is written down. Write them out on a goal sheet and put it somewhere you will see it everyday. How often you set goals is entirely up to you. It depends on what type of goals you set. It you set monthly goals then you will need to reflect and set new goals every month. You may also set daily goals that you will track everyday and reflect and set new ones when you feel a change is needed. When you start writing out your goals figure out how often you will need to set goals and plan that into your schedule. When setting new goals it’s important to reflect on the previous month to think about anything that went well and what can be improved. There are many different types of goals. Today I am going to cover personal and business goals. You can also set other goals that are relevant to you and what you want to achieve. This can be anything from health, relationships to personal development. Think about the areas of your personal life that you want to improve and why. Then you can get started on setting goals in this area using the method above. Personal goals have to be something that you really want to achieve to keep you motivated and want to achieve them. Make it really personal and meaningful to you. For example if you want to improve your health and are really passionate about this, make that your goal. Set one big, specific goal with a deadline and smaller daily goals like exercise and healthy good to contribute to the bigger end goal. If you have a business or blog that you are looking to grow it is so important to set goals. Get clear on what it is that you want from you business and start setting small action goals to work towards this. Brainstorm all the ideas you have for your business so you can plan a time to focus on each one. It is important to only focus on one or two big goals at a time so you can focus fully and not spread yourself to thin or get overwhelmed. At least once a week reflect on your goals. How did the last week go? What went well? What can you improve? What have you achieved? By tracking your progress and regularly reflecting you can check that you are on the right path and make any changes if needed. Sometimes a goal may not feel quite right to you so it is important to realise this and change it so you can achieve the goal. Setting goals is one thing, staying motivated to achieve them is a whole other topic. The good news is there are so many ways you can get motivated to achieve your goals. All the tools I will be sharing today are ones that I do daily and that have contributed hugely to achieving my goals. Get a notebook and write down your goals daily. Pick a list of about 10 goals, I like to pick long term ones of my dream future and write them as if they have already happened. For example “I live in a beautiful 4 bedroom house” “I visit the spa weekly” “I work Monday – Thursday” these can be a mix of personal and business goals that you want to achieve long term. Writing these out daily will keep those images in your mind of the long term benefit and keep you motivated to taking action daily to work towards it. There are so many motivational books out there. If you are in business there are many books out there that will support you in growing your business. Reading these daily will allow you to keep growing and learning new things. Reading books about other peoples success will keep you motivated and inspired to keep working towards your goals. Podcasts are another great way to get motivated. There are so many out there that will motivate and inspire you on your journey. From people that have overcome the same struggles you are facing personally, to successful business people to motivate you on your business journey. You can also learn a lot about goal setting and motivation on many podcasts. This is hands down my favourite tool. It is one where you can get truly creative with no limits and dream as big as you like. You can create a physical vision board by printing pictures and using a cork board. You can create a digital vision board either on your phone photo gallery or using a secret board on Pinterest. Spend some time day dreaming about your dream life: the house, car, impact, charity, family, friends, social etc. Dream as big as you can and add everything that comes to mind. Schedule time to visualise daily using this vision board. Listen to some relaxing music (I like the Insight Timer app meditation music) and visualise your life with all of those things in it. What does it look like? How do you feel? Who is with you? What are you wearing? What are you doing? Visualise it in as much detail as you can and really get clear on it. Not only will this help to keep you motivated it will also work alongside the law of attraction and help you to manifest your dream future. If you’ve not heard of the law of attraction before click here to read more. Quotes are a great way to get motivated so it’s a good idea to have some saved on your phone and vision board for you to look at daily when you need it. Here are some of my favourites. I hope you’ve found this useful and you’re excited to get started with setting your own goals. Let me know in the comments what goals you are going to work on. I have used Personal Development to completely transform my life. I used to suffer with anxiety, depression, lack of confidence and fears. I have now overcome and manage all of these struggles with personal development. I have a structured routine of personal development habits that keep my mindset positive.